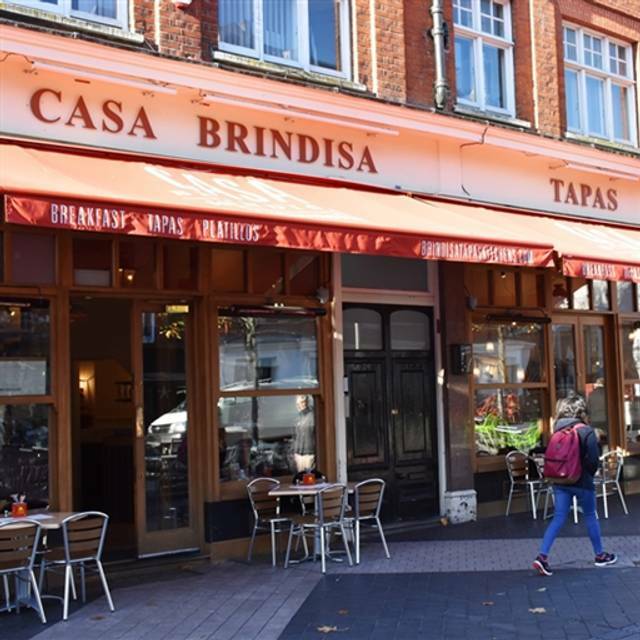 You must make bookings at least 5 minutes in advance of the time at Casa Brindisa. We have a range of packages for office and outdoor catering to suit all occasions and budgets. Busy, but good service. Food was good but a little mean in the portion for two. Overall, pleasant but not outstanding in any way. I have eaten here before about 5 times and once again it didn't disappoint. Very good service and excellent food with a number of new dishes. and the wine chosen was perfect. I hadn’t been there in a long while and I thought I would go back because it was good a few years ago but they have gone downhill. Portions are ridiculously small, I got the calamari tapas and ok I appreciate it is a tapas but that was one single micro squid cut in pieces and served with a spoonful of black mayo. Really disappointing. Both my husband and I were surprised they had the nerve to serve that dish. They have recently changed the menu to include croquetas with chicken and ham which sounds more English than Spanish to me. 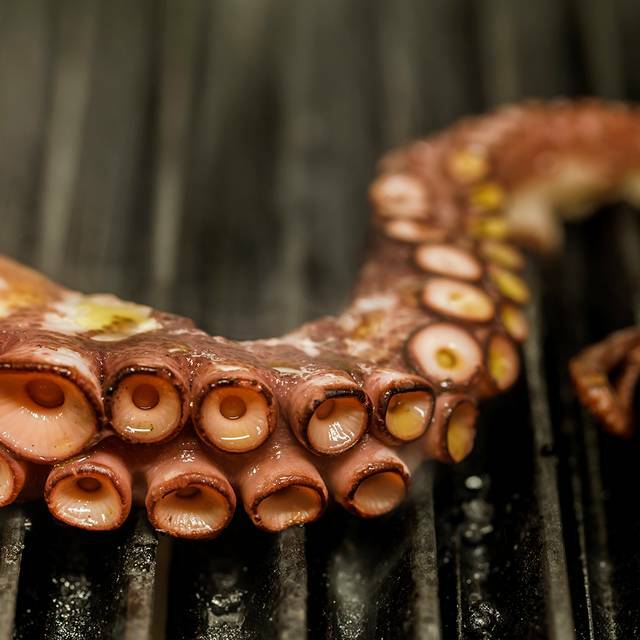 Also there’s no octopus which is probably the most typical Spanish dish. Overall we felt the place is totally overpriced and the menu is disappointing. Nice food - as always with tapas there are some dishes better than others. Prawns were great. Potatoes bravas not so good. Excellent wine. Service friendly and efficient but not hurried. Will go back, maybe not on a Friday next time. The staff were very accommodating as my son is on clutches and they gave us a lovely table in the corner for four people, which was very roomy. The food was good but tend to be too salty. We were a bit stretch for time and the food arrived quickly. We had a lovely time. Delicious food - it has got better in the last year or so- and fun atmosphere. Very friendly staff and about the only place near the Albert Hall that stays open late so useful after the Proms! Having been to Brindisa in Shoreditch the South Kensington restaurant was disappointing. The menu was limited, and the ambience felt like a fast food outlet rather than expensive dining experience. 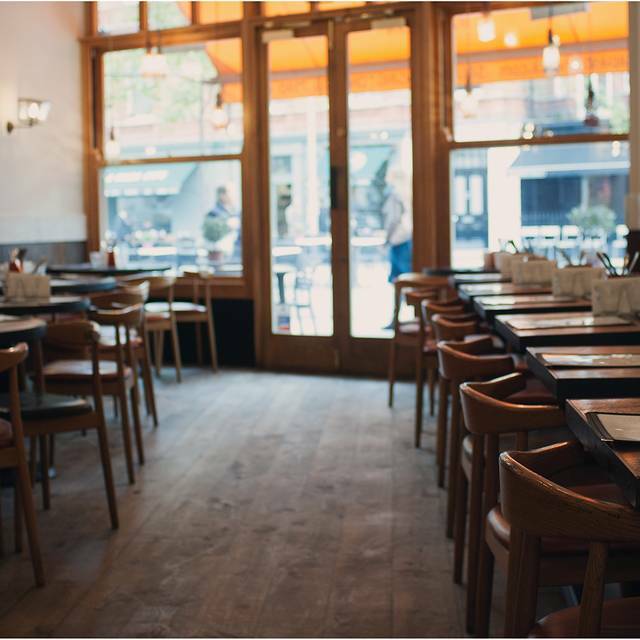 We were welcomed to this buzzy tapas restaurant and our table was ready on-time which was helpful as we had an early theatre booking. Food was delicious and served promptly. 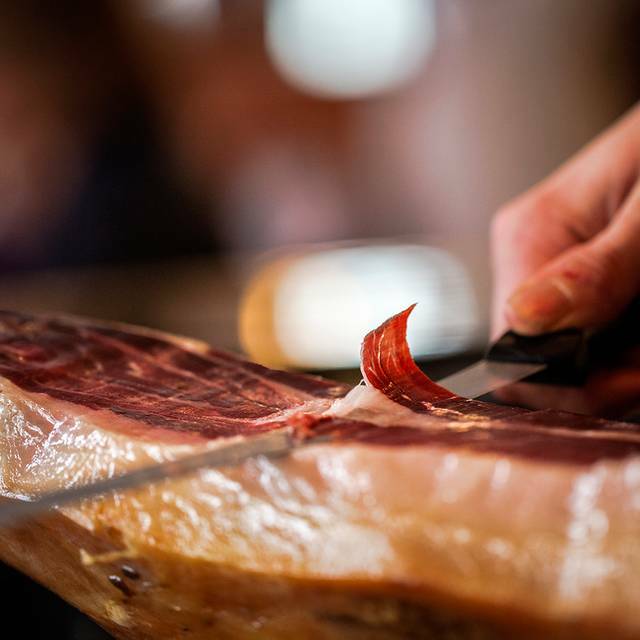 Although Brindisa is recognised as excellent tapas, the pricing is more on a restaurant level - £100 for 2 people. All the dishes consistently excellent. Really good service. Early evening meal after taking two kids to see the dinosaurs. They loved it giving 11 out of 10 rating. Tapas good idea as they could pick what they wanted. Nothing left on plates - a first! Lemonade wonderful. Only downside a bit pricey. As ever good authentic tapas. The costs mount up,but the overall impression is of authenticity, warmth, an enjoyability. Gorgeous food and the service was wonderful. Everything we ordered was delicious, and we ended up ordering seconds of some dishes. Would go back in a heartbeat. Excellent food and service! My dad loved celebrating his birthday here! The food was expensive but in terms of the quality is was kind of worth it. The size of portions is slightly confusing so we were at odds about how many dishes we needed the calamari was nice but not enough of it all in all a pleasant meal however. We had very nice evening at Casa Brindisa, good food and wine, nice waitress and a cosy room. Would like to come again. Wonderful food. Friendly quick service. Had 6 dishes for 3 of us and was just right. So fresh and genuine. Worth booking as is very busy. Excellent quality, a menu that always seems to offer a winning combination of old favourites and new, more inventive dishes. Lovely food and nice ambience. Good service from friendly staff. I'd definitely come back and recommend it to my friends. I love casa brindisia. The food is delicious and swift to arrive and the staff always friendly. We spent an enjoyable Saturday afternoon here. Great food, outstanding service. Looking forward to returning soon. We have been here so often and it never fails. Fantastic. Overcrowded, noisy, several screaming children, felt rushed. Would not recommend for a quiet or leisurely lunch! Very relaxed atmosphere and the food was excellent. Convenient for the South Ken Tube and the museums of South Kensington this is an enjoyable but quite expensive place to eat. The food is tasty and fresh and a glass of Manzanilla followed by a cold beer are perfect complements. 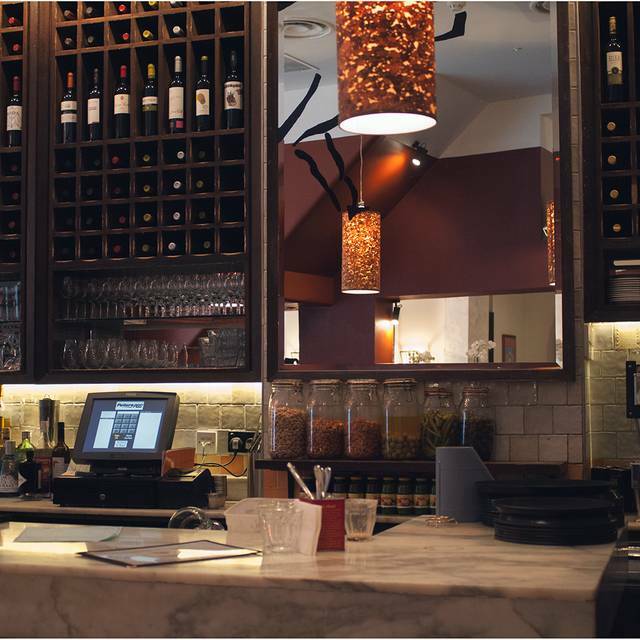 A fun, child friendly restaurant and a lively atmosphere. what more could you want? The food was delicious (even as a vegetarian you have plenty of amazing options). The staff was very welcoming and always here to help. We had a great time! I know Brindisa as a supplier as I work in restaurants, but have never eaten at any of their restaurants before. It was such a delight! The food was actually delicious. Really spot on. The service was lovely too. Just attentive enough that you felt well looked after, but not overwhelming. Just a lovely lunch. I’ll be back for sure! Great food, we were happy to be placed in a quiet corner, a little expensive but not excessively so. There was a mix-up with the booking (not restaurant's fault) and they did everything to get us a table. Food amazing, good value, nice staff. Delicious food. Most friendly service. Love being there. A slightly disappointing evening: the tapas was ok, but not a patch on the real thing, eaten in the sun in Madrid. That said, the tortilla and aioli were absolutely amazing, definitely a highlight. The cava sangria was quite pricey at £26 per small jug and it was hard to taste the cava in it, it was so sweet. It was the desserts that really let the side down though. Churros that were very tough and chewy and a millefeuille that was actually a small piece of filo, or a wanton wrapper, folded in half and baked. Definitely not a millefeuille by any means. I doubt we’ll be back I’m afraid. Our first visit to this branch of Casa Brindisa - much more spacious than at Borough Market. Buzzy on a Friday night and we especially enjoyed the toasted sourdough, black rice and a vegetable dish. Service was helpful and we weren't rushed, even though they were very busy. I cannot fault the food at Casa Brindisa, always very good. However, it is now getting quite pricey for small plates. The service is good but we did feel quite rushed, perhaps that's the nature of a Tapas restaurant. On Friday evening it was very noisy........especially a group of girls near us....I guess they were having fun! Would always return if only for the food.